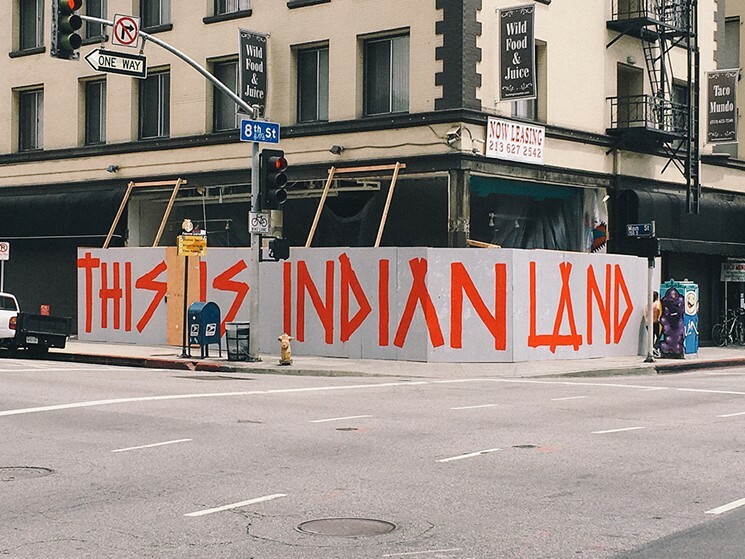 Mapping Indigenous Los Angeles in the news. 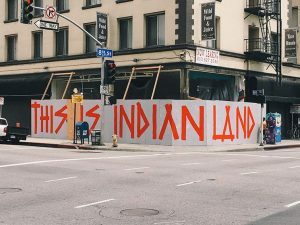 Mapping Indigenous LA (MILA) was featured on KPCC’s “Take Two” news program on April 19, 2016. 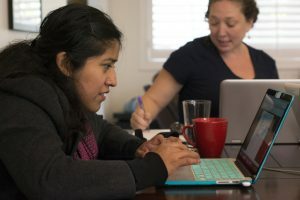 Read more about CDH’s collaboration with MILA at UCLA’s Digital Humanities website. 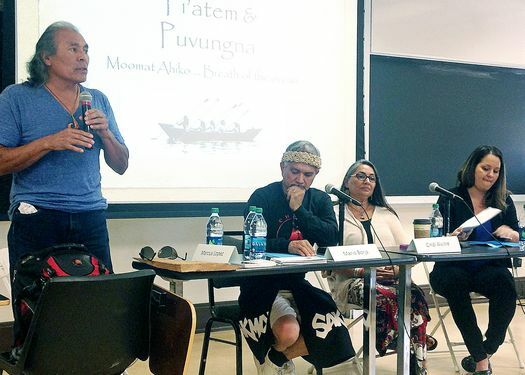 These articles describe a symposium hosted by UCLA’s Mapping Indigenous Los Angeles collective, titled “East Oceania: Indigenous Seascapes and Geographies” in April 2015. Read more about the symposium at Marianas Variety and the Saipan Tribune. Kuruvungna, site of a village of the Gabrielino/Tongva peoples, is located near springs that run from the Santa Monica Mountains. 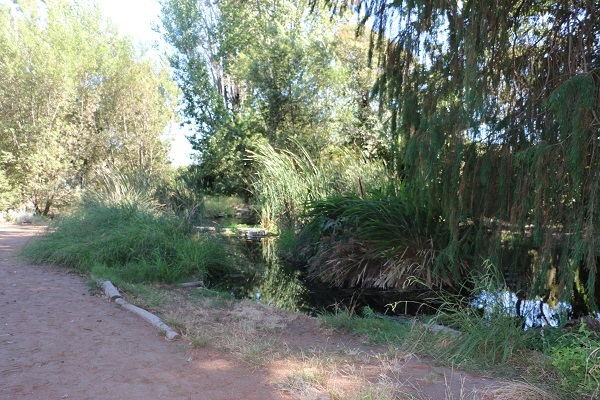 The site (controlled by the LA Unified School District) is maintained by the Gabrielino/Tongva Springs Foundation. This article on AHA Today features an interview of Mishuana Goeman, co-principal investigator of the project, by Kritika Agarwal from August 9, 2016. Read on AHA Today’s website. 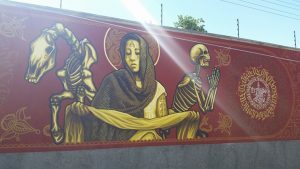 As a part of LA Weekly’s 2016 Native American Issue, Dina Gilio-Whitaker discusses Native identity and culture in California. Eve Recinos writes about Downtown LA’s exhibit “Visualizing Language: A Zapotec Worldview” (on display from Sept. 16, 2017, to Jan. 31, 2018) featuring the Tlacolulokos art collective for LA Weekly. To keep in the know about events in LA county and MILA updates, join us on FB.